Refreshingly sweet and subtly tart, this cranberry juice is one of the most popular cocktail mixes and contains 100% daily vitamin C value per serving! Compared to other types of packaging, this canned juice provides convenient storing and stacking to keep your business in good supply. When ready for use, simply chill, shake well, and pour! Refrigerate after opening to maintain freshness. Easy to use, versatile, and fresh-tasting, this cranberry juice features a sparkling bright red color. 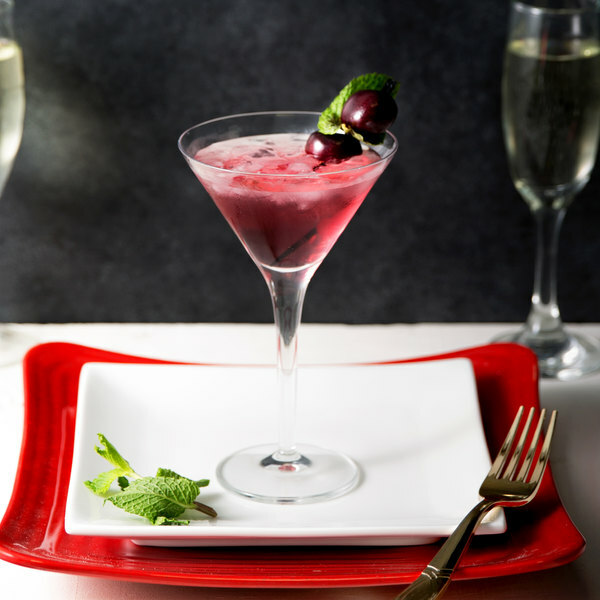 From breakfast beverages to evening cocktails, cranberry juice is an essential ingredient to have on hand throughout the day. It's sure to freshen up your patrons at your hotel or resort's breakfast bar or buffet. Mix it with other fruit flavors to create an irresistible, cool fruit punch for your next party or event! 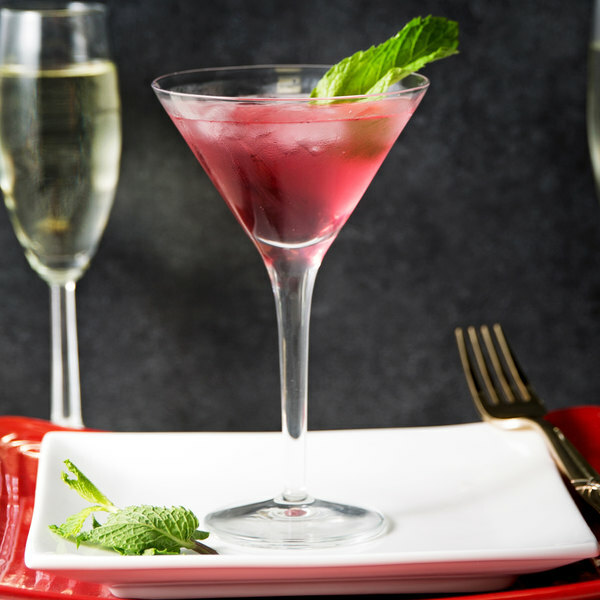 Use this cranberry juice at your bar service to create classic vodka cranberry drinks, Cosmopolitans, and a variety of other fruit-filled drinks, including sea breeze, sangrias, and cranberry martinis. Try adding a splash of cranberry juice into glazes or dipping sauces for something new. These 5.5 oz. cans of cranberry juice are the perfect size for a single serving, while reducing waste from unused product in bulk cans. 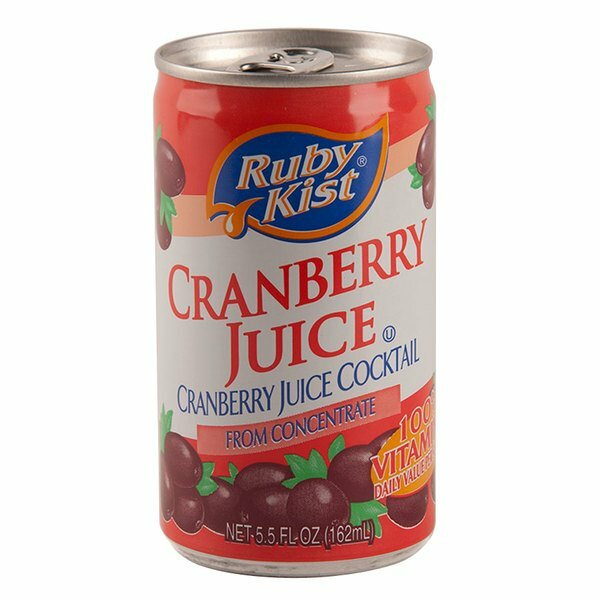 Love these little cans of Cranberry juice, this 5 oz size is enough for one drink, no managing quarts or gallons, use it as needed, great shelf life. The canned cranberry juice cocktail is really awesome and makes a great cocktail mixer or breakfast juice. The cocktail juice is one of our top bar mixers. I was a little skeptical about ordering these small cans of cranberry juice but I’m very glad i did! We were having a problem with our waste as far as cranberry juice for our bar goes and this completely takes care of my issue! The brand is actually ocean spray. Would highly recommend. The quality of the juice is as good as it gets, small cans eliminate waste as well. I would recommend these for any restaurant or bar looking to add small juice cans to their inventopry. The canned cranberry juice cocktail is wonderful and perfect for our bakery. A great tasting juice and a very popular choice among our customers. A great buy and quality. The canned cranberry cocktail is our best juice by far we have every bought. The cranberry juice is delicious and is perfect for our bar. A nice single serve can of cranberry juice cocktail that is very comparable to name brands. Love the price and the size is great for on the go and our family picnics. The perfect size can of cranberry juice for our brunches. The juice is a great quality and tastes great. I love the price and the cans make them easy to store. We bought these for our wedding shower bar. They were perfect for making single cocktails and really helped cut down on waste. The juice tasted great and was a great price. These were perfect for an open bar at our wedding. They are just the right size for single servings with cocktails. Our guests loved them! A very great tasting cranberry cocktail that comes in cute little cans. They are great for our breakfast events at church and the juice tastes so good. We love the quality and taste of this cranberry juice. The small cans make single drink mixing and storage a breeze. The small cans also ensure fresh cranberry juice for every drink we mix. This Ocean Spray cranberry juice cocktail tastes great and comes in a handy 5 1/2 ounce can. Perfect for bar, restaurant, or home use. Case of 48 cans is a great value, highly recommended! These small cans of cranberry juice are great for bars and restaurants. A full case of 48 cans make these a great value. The juice tastes great too! These 5 1/2 ounce cranberry juice cocktail cans are great for any bar or restaurant making mixed drinks. 48 cans per case make this a great value. Great cranberry juice from great brand! Perfect balance of sweetness and bitterness. Great choice for anyone who is looking for really good tasting juice in small cans. I love this 5.5 oz. Canned Cranberry Juice Cocktail. Really good juice high in vitamin C and I love the fact that it's the perfect size for cocktails or just to have for breakfast. These worked out so well for our wedding day bar. The bartender was able to use each individual can when drinks were ordered rather than wasting what's left of a bottle. I love the size of these cans! Easy to pour when mixing cocktails and no more waste of big jugs of juice taking up space. This is an extremely high value and quality product. We have found that the 5.5 ounce cans essentially eliminates the risk of spoilage and allows us to better price our products and forecast costs. Perfect size for mixed drinks. I have used these cans ever since we opened 7 months ago. Really cuts down on the amount of waste when compared to larger cans. I love the canned cranberry juice cocktail, it lasts forever on the shelf which is great. Perfect for making punches and other cocktails, has a great flavor. This is an amazing cranberry juice to drink straight from the can or to make your favorite specialty drinks! Great taste with no bitter after essence! Great buy! now here is a delicious cranberry juice cocktail! i just love its flavor, mix it with some vodka and your sure to have a great night! Very good juice, it's quality taste is not expected coming from the can, but it tastes really good. The fact that it is canned makes it a plus because of the extended shelf life. This cranberry juice is packaged in a wonderful way to help you store it, especially if you don't go through it very quickly. Certainly a great quality and extremely great price!